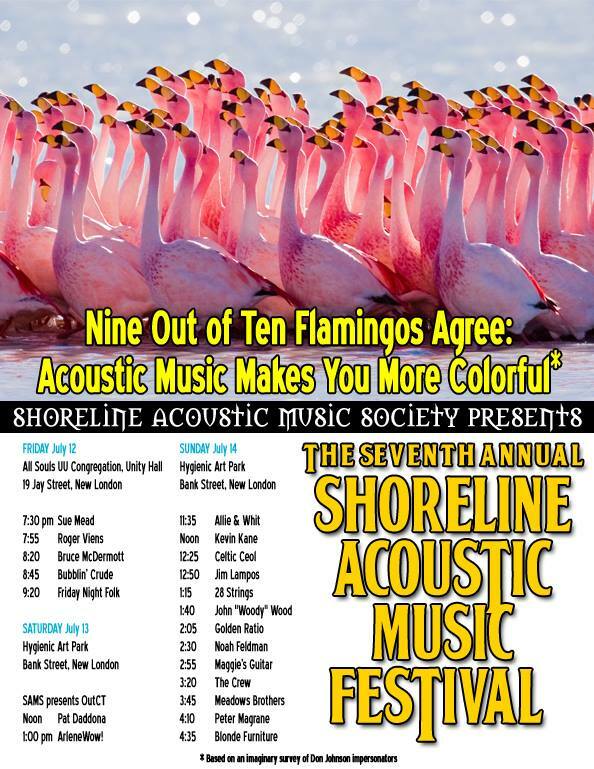 Come on down all weekend to hear Shoreline Acoustic musicians from Friday through Sunday! While you’re there, carve out some time Saturday, July 13, to hear Pat Daddona at noon at the Hygienic Art Park with Dana Takaki, Mike Ball and Joe Cavanagh! Then it’s Arlene Garcia-Wow! at 1 p.m. These performances are part of Shoreline Acoustic Music Festival and Sailfest, but dedicated to outCT! “Borderline” Video with 3 special people!